Vintage Crime/Black Lizard, 9780307388728, 384pp. 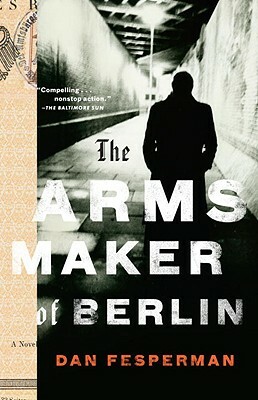 An unflinching thriller from Dan Fesperman that takes us deep into the White Rose resistance movement during World War II. When Nat Turnbull’s mentor, Gordon Wolfe, is arrested for possession of a missing WWII secret service archive and then turns up dead in jail, Nat’s quiet academic life is suddenly thrown into tumult. The archive is a time bomb of sensitive material, but key documents are still missing, and the FBI dispatches Nat to track them down. Following a trail of cryptic clues, Nat's journeys to Germany, where he soon crosses paths with Berta, a gorgeous and mysterious student and Kurt Bauer, an arms billionaire with a dark past. As their tales intersect, long-buried exploits of deceit emerge, and each step becomes more dangerous than the last.